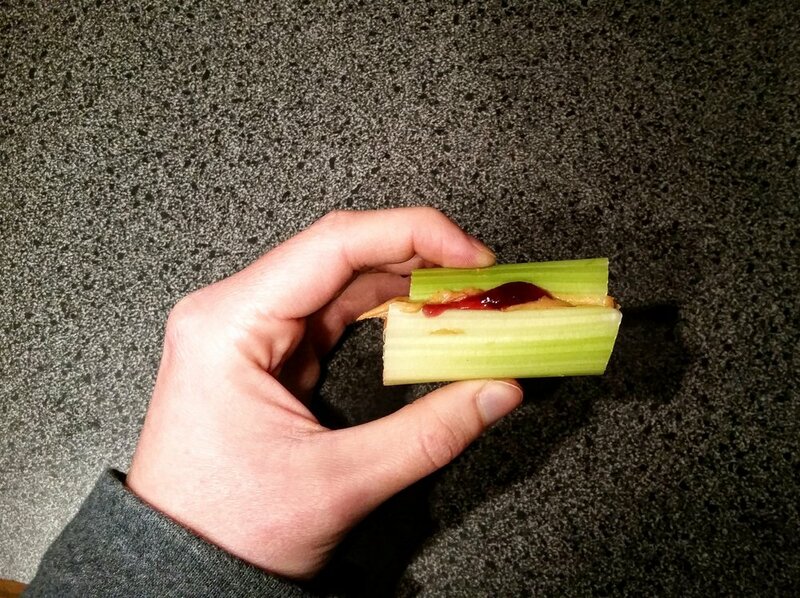 This week's rest day recipe is PB&J Celery...I know it sounds a bit odd, but trust me- It's delicious! 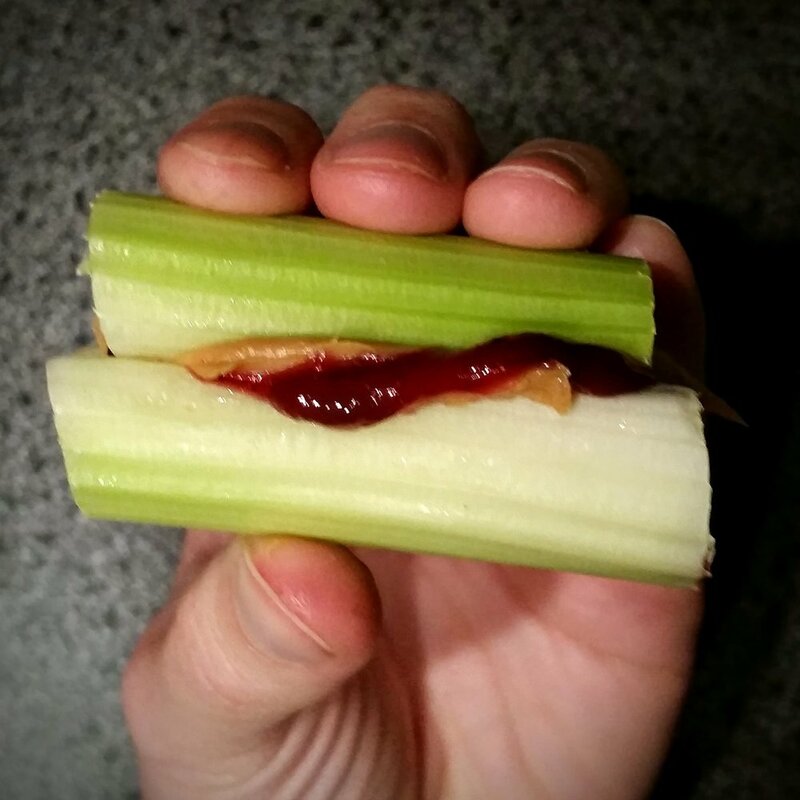 Spread a small amount peanut butter and jelly on each piece of celery. WARNING: I can be a bit messy when you eat it "sandwich style," so if you choose to do so grab a few napkins and prepare for deliciousness. Interested in more "Healthier than Normal" recipes. Check out my pinterest board and heck even follow it if you'd like! 2. Mix 1 cup orange juice, 2 scoops of vanilla ice cream or frozen yogurt & 1 packet of thrive in blender. You know since I'm so fabulous at making smoothies and what not, maybe sometime in the future I'll share a smoothie recipe too...cause you know I AM the queen of smoothies. :P Ha, keep an eye out ya'll! This post was sponsored by Thrive. Thrive is an all natural supplement filled with minerals & vitamins. It has been known to diminish aches and pains, decrease bloating and other digestive issues, as well as, increase energy and the ability to focus. Thrive has a referral program and promoter packages, so if you're interested contact Carly Guzick at Cguzick510@yahoo.com or visit her personal page. Carly has a great personal testimony and will be able to answer any questions you might have. Cynicism & Smiles: "How We Became Creators"